Our new theme was created to serve as a lifestyle, healthy living blog or a food blog, online wellness magazine, nutrition website or even online store! Its design is light and fresh and offers a lot of handy features. Our Healthy Blog is loaded with so many pre-built pages, so you can feel relaxed while building your website – just import them using one click demo installation option! The theme has four easy manageable homepage layouts that can be adjusted using Visual Composer plugin. Attractive galleries integrated due to Essential Grid allow you to showcase your portfolio. 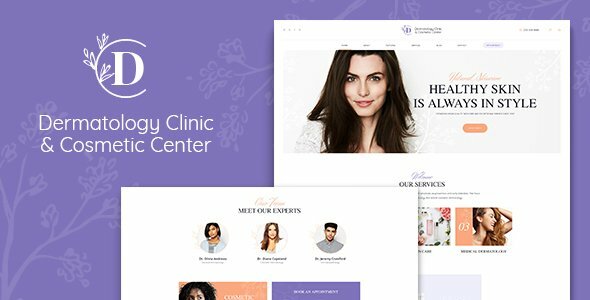 Being WooCommerce ready, the theme is a fantastic solution to build an online store to sell body treatment products and other wellness supplies. Besides all that, we have made the theme compatible with such plugins, as MailChimp, Instagram Feed, Tribe Event Calendar,etc., and supplied it with tons of custom shortcodes and widgets. Spread the healthy word with our theme – click the live preview button to check it out! - login/register form is fixed.